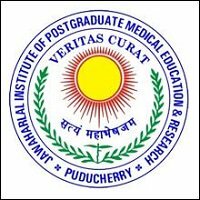 JIPMER Jobs Recruitment Notification 2018.Jawaharlal Institute of Postgraduate Medical Education & Research inviting applications for the positions of Senior Resident on Regular basis in JIPMER Puducherry.Interested and Eligible candidates can apply for the positions. Date of Interview: 08.30.A.M on 19.11.18 and 20.11.18. Total number of vacancies to be filled in JIMPER is 375 posts. Name of the post: Senior resident. Aspirants those who are completed their Post graduate Medical Degree(MD/MS/DNB) in respective discipline can apply for Senior Resident. Candidates should not exceed 37 years before applying. Selected candidates will earn money per month is Rs.67700 and Grade pay is 1,10,000. Candidates will be recruited by interview. Candidates may apply the application form through online for Senior Resident from 19th november 2018 to 20th November 2018.
http://www.jipmer.puducherry.gov.in/ is the link candidates can apply directly.